This is how we know that we remain in him and he in us, that he has given us of his Spirit. Moreover, we have seen and testify that the Father sent his Son as savior of the world. Whoever acknowledges that Jesus is the Son of God, God remains in him and he in God. We have come to know and to believe in the love God has for us. God is love, and whoever remains in love remains in God and God in him. In this is love brought to perfection among us, that we have confidence on the day of judgment because as he is, so are we in this world. There is no fear in love, but perfect love drives out fear because fear has to do with punishment, and so one who fears is not yet perfect in love. After the five thousand had eaten and were satisfied, Jesus made his disciples get into the boat and precede him to the other side toward Bethsaida, while he dismissed the crowd. And when he had taken leave of them, he went off to the mountain to pray. When it was evening, the boat was far out on the sea and he was alone on shore. Then he saw that they were tossed about while rowing, for the wind was against them. About the fourth watch of the night, he came toward them walking on the sea. He meant to pass by them. But when they saw him walking on the sea, they thought it was a ghost and cried out. They had all seen him and were terrified. But at once he spoke with them, “Take courage, it is I, do not be afraid!” He got into the boat with them and the wind died down. They were completely astounded. They had not understood the incident of the loaves. On the contrary, their hearts were hardened. We are saddened by news of so many recent killings. Just immediately after the birth of Christ, we see again killings, death. Not only by accident, but also premature, unexpected death. But that is one of the pains and hazards of living. In fact, we fear such things - death, catastrophes, disasters, losing a job, losing one's life. We are always afraid. But this is the best time to show our faith in the Lord - when there is a storm. When the Lord reaches the boat of our lives, it is time to show how much faith we have. Peter was afraid, but he was consoled, because Jesus helped him. To be honest, I am not happy right now, because I just lost another friend. A priest friend of mine who is number one in liturgy, just died this morning, and we are very sad. We just lost a priest at the Bahay Pari last December 28. I lost my best professor in the conservatory just after Christmas. And now, this one. It is very disheartening to hear about these deaths. But if I am saying what I am preaching, "I have faith." 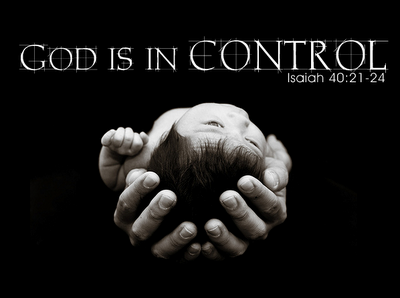 I believe that these are things that the Lord wants us to experience, because He wants show us He is in control, He will be in control of the turmoil in our lives, and He will be there when we need Him most. The only question we must ask ourselves is, "Despite all these things in my life, am I really relying on my faith in the Lord?"